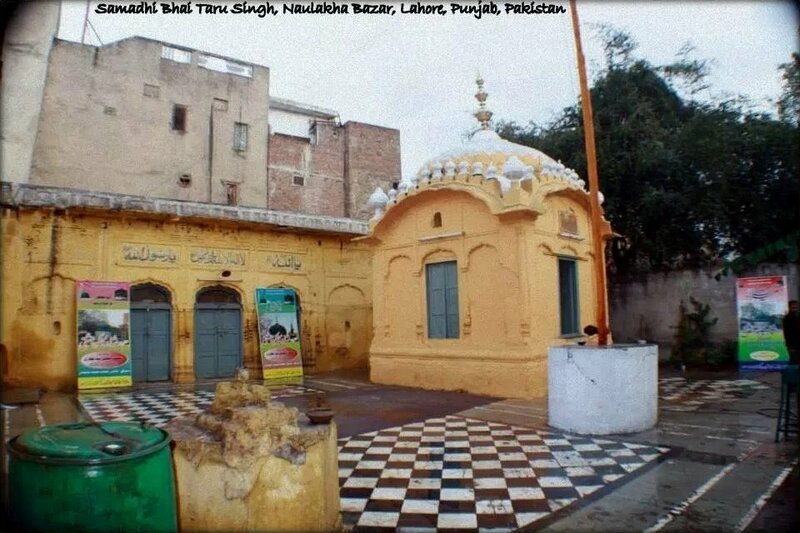 Gurdwara Sri Shaheed Ganj Bhai Taru of Bhai Taru Singh Ji is situated in Naulakha Bazar, Lahore, Pakistan. Bhai Taru belonged to Polah, a village of District Kasur. Bhai Taru had looked after his widowed mother, and his sister by his sheer honest earnings and helped other needy Sikhs as well. Zakariya Khan, the subedar of Lahore, once asked his men, "From where do the Sikhs obtain their nourishment? I have debarred them from all occupations. They realize no taxes. They do not farm, nor are they allowed to do business or join public employment." 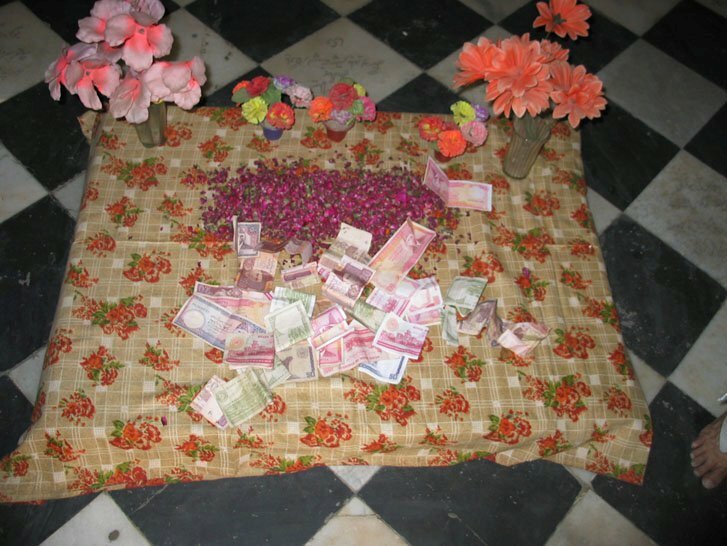 "I have stopped all offerings to their gurdwaras, their places of worship. No provisions or supplies are accessible to them. Why do they not die of sheer starvation?" Falsely charged Bhai Taru was imprisoned and first offered temptations and rewards so that if he could be convinced to denounce Sikhi and become a muslim. Bhai Taru Singh was locked in a prison cell and was tortured in various ways. The more they tortured him, the more Bhai Taru Singh became stead fast in his resolve to protect his faith at all costs. Ultimately, Bhai Taru Singh was produced before Zakariya Khan and greeted him with the Sikh greeting: Waheguru Ji Ka Khalsa, Waheguru Ji Ki Fateh. When charged with sedition, he said, "I earn my livelihood by cultivating my land and working hard. I make payments of land tax regularly, which can be verified from the records. If I engage in commerce, I pay taxes. What is left after our payments is for our bellies. What we save from our mouths, we give to our brethren. We take nothing from you. Why then do you punish us?" Zakariya Khan was in a rage and could not think of an appropriate answer, Khan asked Bhai Taru Singh where he got his strength from. Bhai Taru Singh said he got his strength through his kesh (hair) as given by Guru Gobind Singh. Angered, Zakariya Khan then gave him the choice of converting to Islam or having his hair cut off and death by torture. Bhai Taru Singh calmly asked, "Will I never die if I become a musalmaan? Don't muslims die? I am going to die one day, irrespective of my religion, so why should I desert my faith? of which I am extremely proud of? Why should I commit such an act as to fall out of favour of my beloved Guru? If God had wanted me to be a muslim, I would have been born to muslim parents. I love my faith more than my life and I will defend it at all costs." Bhai Taru Singh - and the choice of conversion to Islam or death by torture. If you choose to cut your hair, read this first. The Qazi then passed a decree, ordering that he be scalped alive. At this place, as Bhai Taru Singh's scalp was removed with a hoe, he kept repeating Waheguru. However, although Bhai Taru somehow survived, and lived for a few more weeks, Zakariya Khan developed a mysterious illness and soon died. 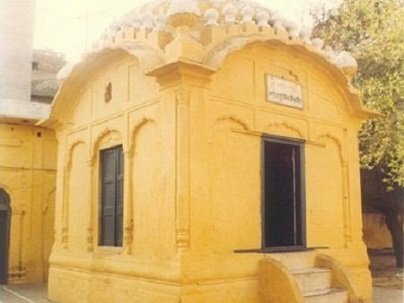 During the Sikh Raj of Maharaja Ranjit Singh, a large Jagir was granted to this Gurdwara. 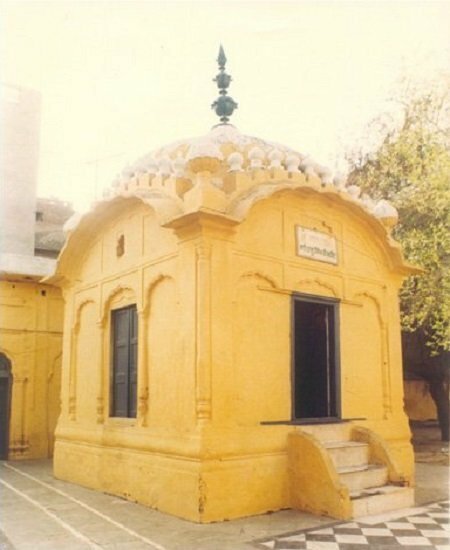 When, in the 1920-30s, the management of this Gurdwara was taken over by the SGPC, the rendering of service to this holy place went to Bhai Asher Singh, who later became the Jathedar of Sri Akal Takhat. The Gurdwara was maintained by the Gurdwara Parbandhak Committee from 1927 to 1947. Due to distinguished qualities of Bhai Sahib, it earned great importance, but after partition, Sikhs, under the threat of certain death, had to abandon this holy Gurdwara. 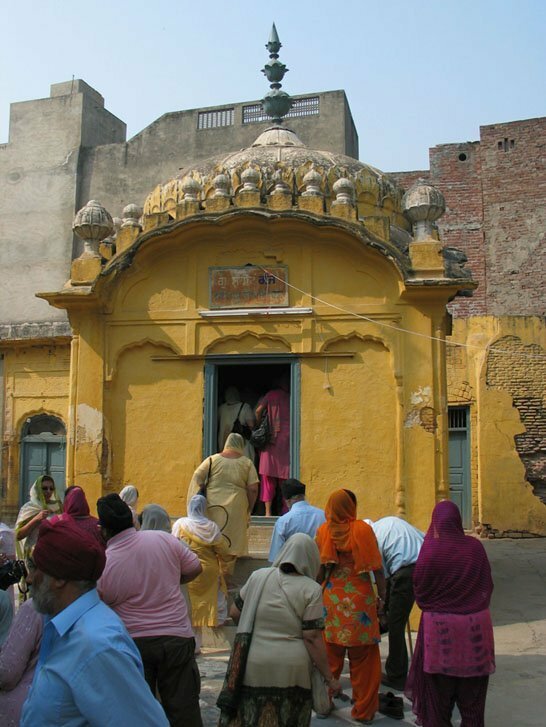 This historic Gurdwara still exists, but its management is now with the Pakistan Waqf Board. There are many shops in the name of Gurdwara and an estate worth Rs 100 per annum was granted to it since the Sikh period.